"Teeming with wildlife like deer, giraffes, monkeys and dolphins, this sculpture bursts with the beauty of the natural world. At the centre, inexorably linked to each constituent part, is a man. He holds a globe in his hand to represent our dominant species' unique duties as custodians of the planet. 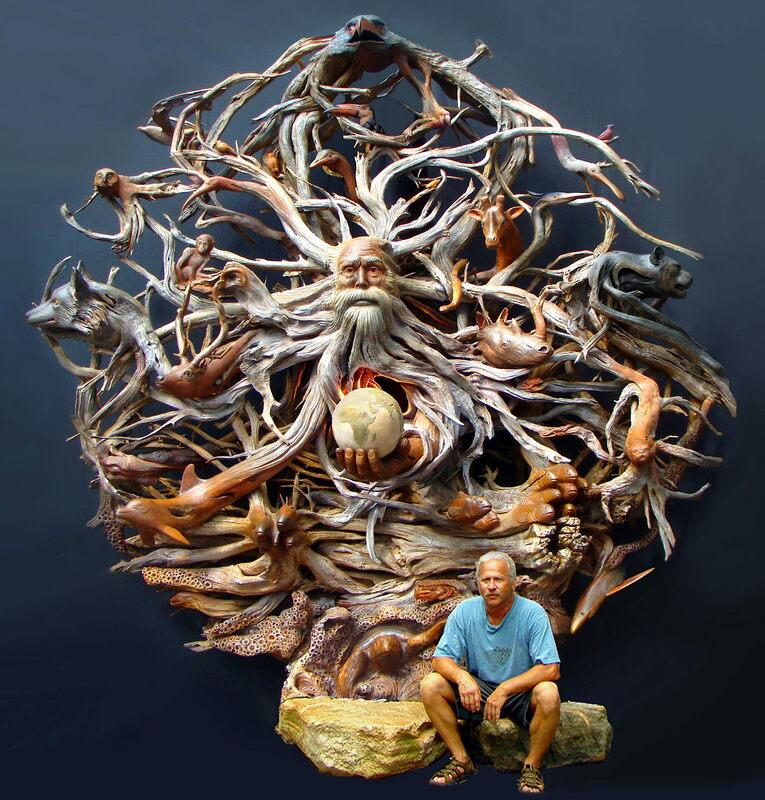 Crafted entirely from driftwood, the vast, thought-provoking masterpiece was created by sculptor Paul Baliker, 59...."
I'll have some of what Paul's havin'.